The Loxton Maxi Convector is the newest addition to the Mendip Stoves collection. 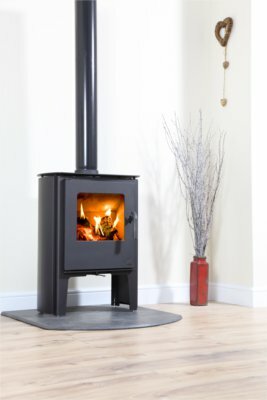 This stunning mid height stove makes an ideal addition to any home, with the added height the fire view is brought up to your eyeline and reloading and cleaning is made easier. Its convection panels make it unique in the Loxton range, but it also incorporates all of the features standard Loxton. The sleek cast iron door and handle, the innovative single air control, controlling the stove combustion air from a stay cool lever and high efficiency output. Contact your closest retailer today to get more information or request a brochure.